There was once a time in my life when I was so on top of reading all the new releases right away, and that time lasted for about six months, and now I just live under piles and piles of books and sometimes read something the week it comes out and feel very proud of myself. Mostly, I note new books and add them to my list and only get around to them when my friends yell at me. That's how I ended up finally reading these books. So, Illuminae is a giant book but it's a cool epistolary novel in the form of a massive dossier, so it reads super quickly. It's centered on Kady and Ezra, teens living on an illegal mining colony on a distant planet. The story begins with them breaking up, and then their planet is attacked by a rival corporation! Because that's how awful break up days are. In the madness of the evacuation and rescue, they get separated from each other and find themselves on different ships in the same small convoy headed for a distant space station, pursued by their attackers! When the AI on the battle ship Kady is on starts to go wonky, they realize that the battle isn't over--biological warfare, dangerously personal ulterior motives, and a possibly mutinous AI may kill them before they are rescued. Basically, Battlestar Galactica with Reavers! So, I really loved it. Kady and Ezra are sort of adorable in their post break-up funk, the stakes are incredibly high, and the AI is almost as fascinating/delightful/terrifying as Talis from The Scorpion Rules (another awesome sci-fi book that I read because my friend threw it at me, and I am SO GLAD I did). The identity of the person assembling the dossier is another really great mystery, and the narrative voice is very sardonic and fun. The story has a terrific inevitable twist, and a twist I didn't see coming. The find words of the story got my pulse pounding: Now run. I can't wait for the release of the sequel, Gemina, in October, which I am totally going to read right away and not six months from now. 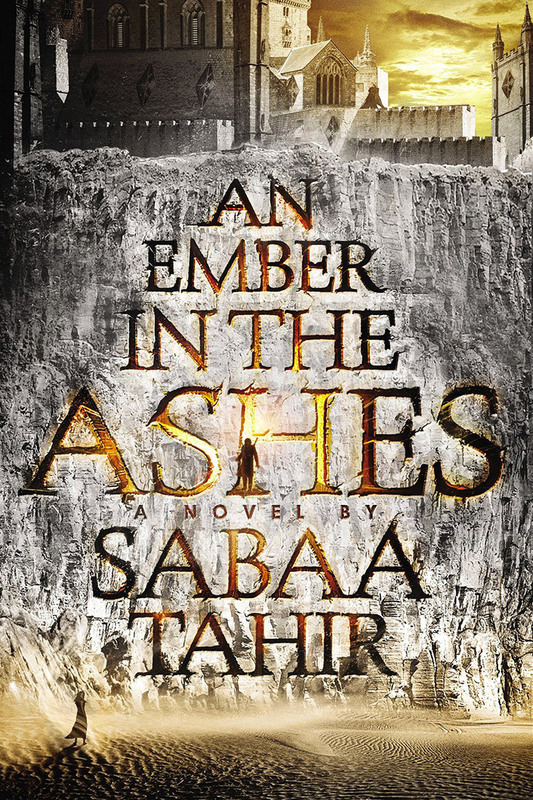 An Ember in the Ashes has been recommended to me approximately ten million times by five million different customers, and I finally caved and read it because I was worried they'd stop liking me and maybe go elsewhere for their books. I'll be the first to admit that Roman Empire-inspired fantasy doesn't exactly get my pulse pounding, but I am super glad I caved to peer pressure! It's a dual POV, with Elias, a Mask (think elite warrior) and Laia, a Scholar slave who's actually a spy. They're both living at an elite academy where nefarious dealings are underfoot for power, and though it takes some time for their stories to intersect, they eventually do in a very exciting way. The rotating perspectives were really seamless, and the wordlbuilding was beautiful. Every time I thought that the stakes couldn't get any higher, they did. Plus, the story was full of really fantastic, really complicated characters. 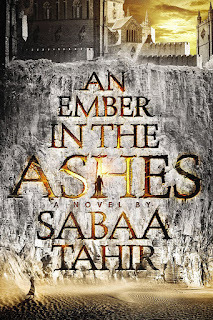 I have A Torch Against the Night on order already and I can't even imagine how things can get worse for these characters, but I'm sure Tahir will torture them (and her readers) appropriately! 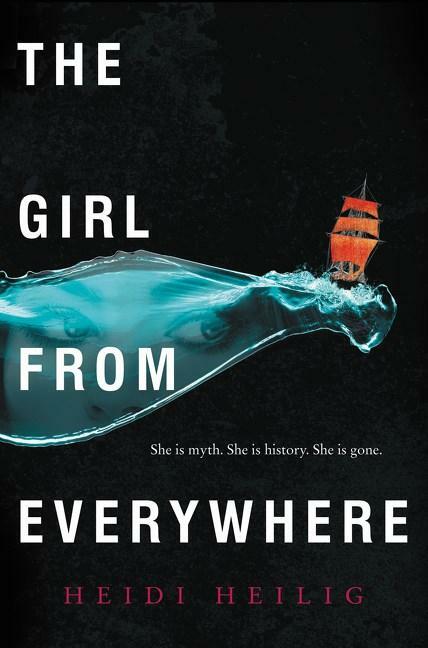 I also read The Girl from Everywhere by Heidi Heilig because one day my friend asked if we could start a book club wherein we read the same book and discuss it over snacks, and although I am never one to turn down a good snack plate over book talk, I realized this suggestion for what it really was: a request for me to finally read this book so she could openly discuss spoilers. So I obliged. 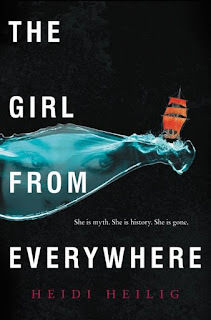 I love the cover, the tagline, the title, and the premise--a girl who lives aboard a time-traveling ship must try and stop her father from going back to the moment her mother died because doing so might unravel her own existence. This was an interesting book, very trippy and tangled in time. It might have been because I was coming off of two very action-packed speculative novels, but this one didn't keep me as riveted at Illuminae and Ember, but I liked all of the plot elements and the historical Hawaiian setting was so, so good! And I shall be very curious to see what the premise of book two, as well! Maybe I can keep this trend going and finally read Six of Crows! I am an eternal optimist where my TBR stack is concerned. All three sound great! 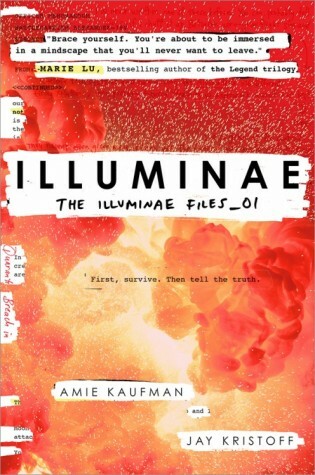 I really want Illuminae! That sounds just my speed right now.